Our college had good staff members and very friendly and helpful alumni. the only exception is hostel facility due to which students have to struggle outside with cheap quality of food and residence. otherwise, everything is proper and suitable. Well the only thing bad was that there was no control over the entry of external students inside college premises. The infrastructure of swami shraddhanand makes its impression down. But according to me its old in infrastructure bit modern in views. Its not as it is rumoured. Woh shuruat ke ajeeb din ! College is very good . Only problem is location the very near metro station is AZADPUR whuch is almost 4km away from main college campus . And 4km distance have to be covered by bus . Swami Shraddhanand College was established in the year 1967. SSC College is a part of the Delhi University and is managed under the trusteeship of the Delhi Govt. The college is affiliated to the University Of Delhi. It offers with graduate and post graduate programs in Science humanities and arts to the students. It is located in North Delhi and has state of art infrastructure with has extensive playgrounds and other essential facilities for faculty and students. The faculty of the college is dedicated, qualified and has experience in their field of expertise and imparts quality of education to the students. The college campus is in and extensive area of about 10 acres. The college has a well stocked and spacious library. It has about 90000 volumes of books related to the subjects. In addition certain magazines and periodicals on current events are also available. A number of scholarships are provided by the college to the deserving and meritorious students, also SC/ST, backward class students gets scholarship from Ministry of Education and GOI. There are number of societies and associations at the college like dramatic society, photographic association, environment society etc. which play important role in college activities. Ragging is strictly prohibited in the campus and any form of such activity is punishable. 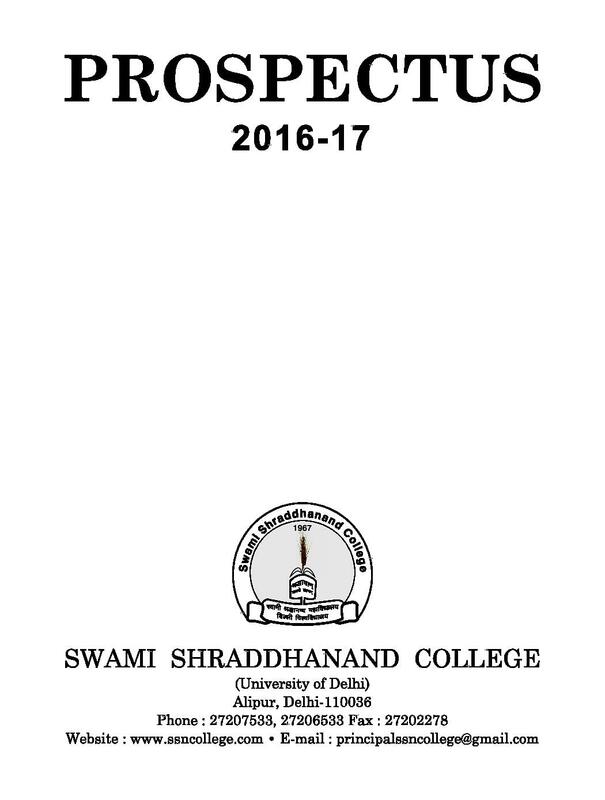 Why to Join Swami Shraddhanand College? Swami Shraddhanand College brings out a magazine “SHRADDHA” in which the students of the college takes part and exhibit their creativity and talent through the magazine. The college magazine is published in 3 language English, Sanskrit and Hindi. In the editorial board of magazine 5 students and 5 teachers are nominated. Hi India, Please contact to this Number:- 011-27206533,27206722 to get the Admission Details of this College. 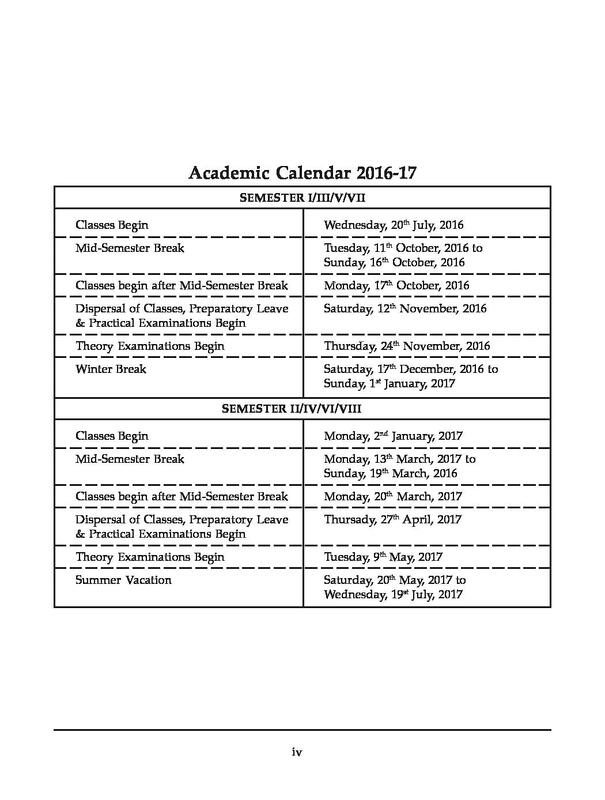 Hello Ayushi, please contact to the admission office of the college for information regarding fees. "Its not as it is rumoured"
Swami shraddhanamd college is under delhi university so i have admitted here under merit rule. But you may enter via DUJAT too. You meed to pass DU JAT examination and then you will be admitted. 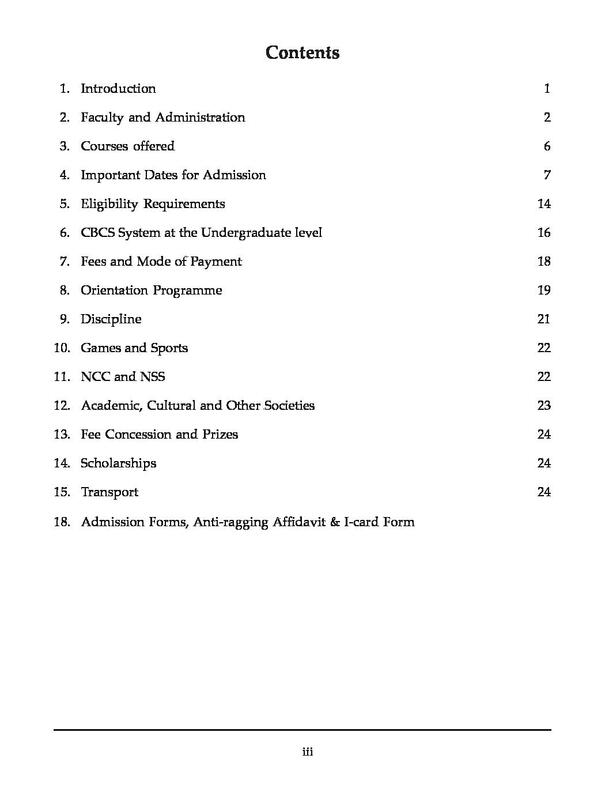 But most of the courses are for merit list type admissions. "Woh shuruat ke ajeeb din !" Just got into college by 12th board marks. No interviews & a bio student has only bsc as a 2nd option. The only thing that attracted me that children are very helpful and cooperative too. It was through merit list method where in my 12 class top 4 subject marks was checked. There was no interview process at the time of admission. My developed interest in biology made me choose this course.